My lady does not nag, photo for illustration only. When a woman nags on at her man and he ignores her, does that help or worsen the case? About four weeks ago, a woman wrote in to ask Ire and I thought I’ill like to seek your opinion. Leave me a comment please and do NOT nag and ignore people…lol. Doris Idahosa: Interesting people in this photo. To give my opinion, i will say neither is good. D nagging and ignoring…lol. Doris Idahosa: I ilke the photo and i cant stop laughing…lol. Musa Ahmed: Haha. When a woman nags, she needs to be ignored! Doris Idahosa @ Musa Ahmed, I cant believe you just said that. You??? Adeyankie Ayuba: 2 be candid nagging is not good. Just talk to your man like he is your man n if he loves u he would listen. Adeyankie Ayuba: Men should stop ignoring their wives too. Address her and her needs! Musa Ahmed @ Doris Idahosa, a nagging woman is worse than a jealous one. I guess Adeyankie has given a quality opinion here. Doris Idahosa @ Musa Ahmed, it seems so…lol. Adeyankie Ayuba @ Musa, thank u! Musa Ahmed: You are wlcm Ade. Abigeal Bookie:Ola haaa Ire! this is very funny! Abigeal Bookie Ola: Nagging is a very bad habit and men should listen to their women! Eyinju Ire Ni O : Hey guys, the photo is for illustration only. Toks doesn’t nag much and Ire doesn’t ignore much either-lol. 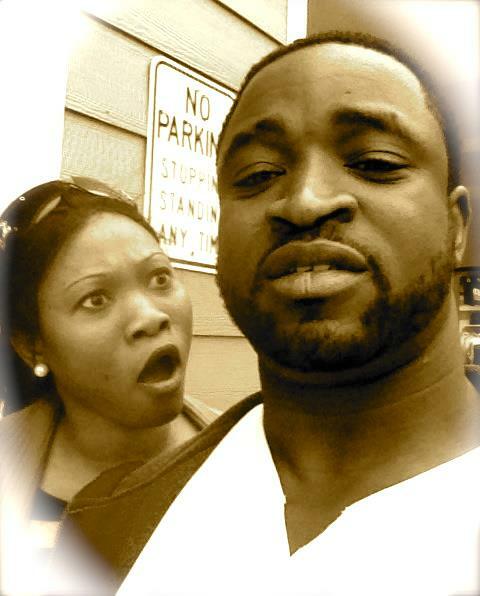 Doris Idahosa: I was wondering if the photo was real….lol. Abigeal Bookie Ola: Lol but u two are funny all d same! Adeyankie Ayuba @ eyinjuIre, does that mean u nag sometime and Ire ignores u? Musa Ahmed: Eyinju does not nag. It’s just Ire who likes to ignore people…lol. Princess Victoria James : First of all, I love this illustration photo. Secondly, almost all women nag. It’s just that some do it more than others and it is bad habit! Men should be more mature about the situation and take charge! Princess Victoria James: Although that can be very hard thing to do when there is emotion and frustration in the air! Abigeal Bookie Ola: Nice comment Princess Victoria but it is not easy to do so as u said! Ben Olu: LMAO! TOO FUNNY! Doris Idahosa: Hmm Ben Olu, do u ignore women when they nag u? Princess Victoria James Thanks @ Abigeal. Abigeal Bookie Ola: U are wlcm Princess. Princess Victoria James: Pls help us define it o @ Josephine. What is nagging really? Lol. Princess Victoria James @ Abi, sure. This is all very interesting! Doris Idahosa :Nagging is a complaint that grows into something else that is irritating and annoying! Am I right @ Josephine Mokonogho? Musa Ahmed :You could call it constant complaining or to simply torment a man by repeating one thing over and over again until the man ignores you. Abigeal Bookie Ola @ Musa Ahmed, u and ignoring sha! Josephine Mokonogho: Love the picture sha. Really illustrates the point. Tkbesh! International Magazine: Thanks all for your valuable comments and your likes. We appreciate and love y’all! Abigeal Bookie Ola: You are welcome Tkbesh! International Magazine. Adeyankie Ayuba: Una welcome o Tkbesh! Muslimat Anike Ahmed: Lovely illustration photo and interesting topic Tkbesh! International Magazine. Tokunbo Adebesin: This was educating y’all but mostly fun. Thanks y’all!